Ships tomorrow if you order in the next 19 hours 53 minutes. Melatonin is a neurohormone produced by the pineal gland. It plays an important role in controlling sleep-wake cycles. Melatonin is needed for healthy sleep, hence its natural levels in the blood are high at night and low during the day. It is also a potent antioxidant. Melatonin can be found in foods like meats, fruits, grains and vegetables in very small amounts. People take it in supplement form for insomnia, jet lag and immune health. 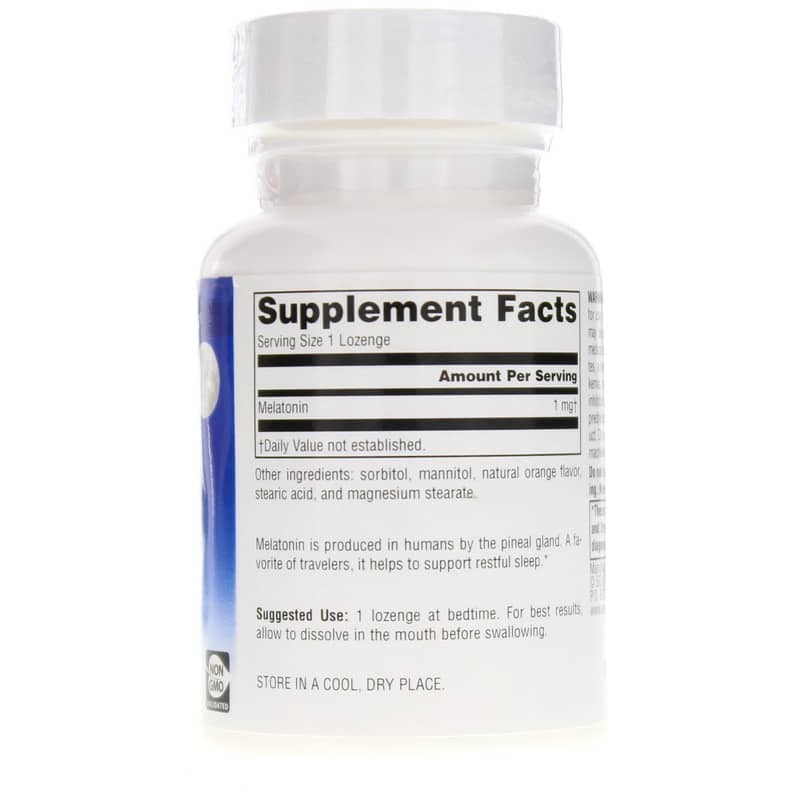 Source Naturals offers a natural supplement called Melatonin that supports restful sleep for occasional sleeplessness. 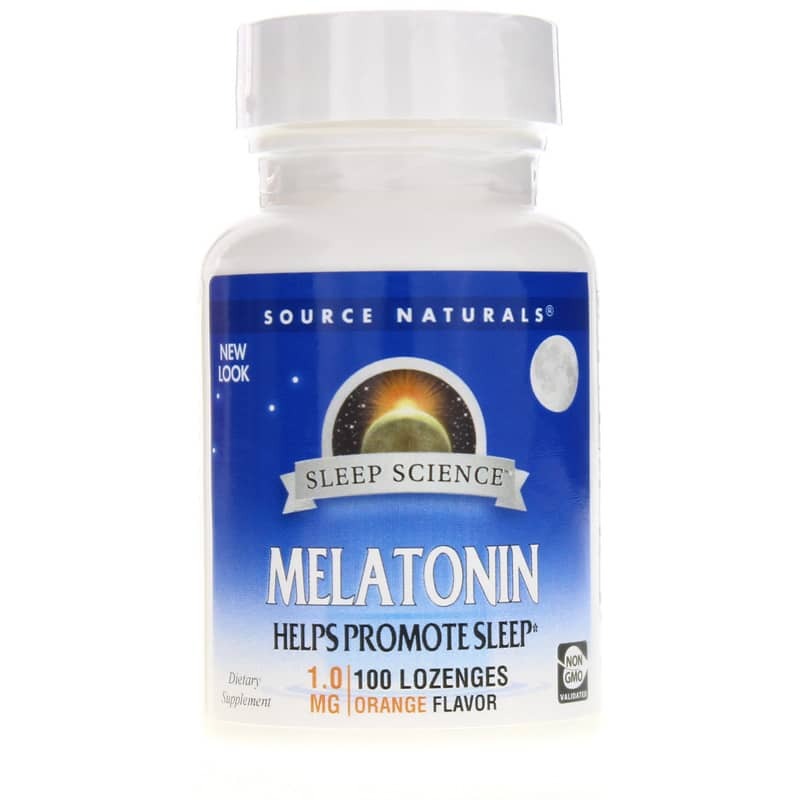 If you're looking for a natural supplement for occasional sleeplessness, check into Source Naturals' Melatonin. Order online today! Other Ingredients: sorbitol, mannitol, natural orange flavor, stearic acid, and magnesium stearate. Adults: Take 1 lozenge at bedtime. For best results, allow to dissolve in the mouth before swallowing. USE ONLY AT BEDTIME. For adult use only. Not for use by children, teenagers, or women who are pregnant, may become pregnant, or are breastfeeding. 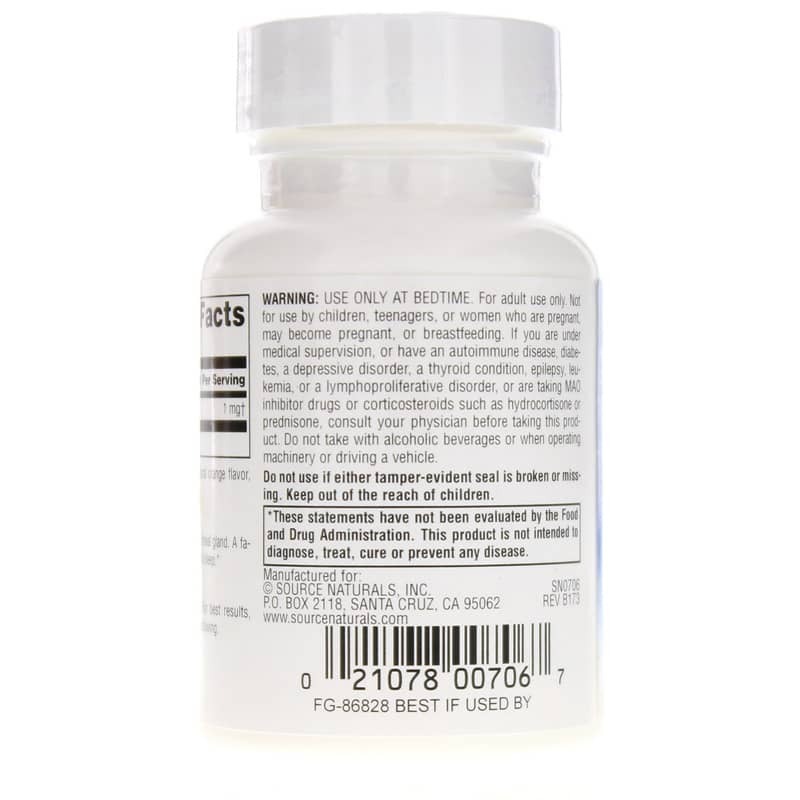 If you are under medical supervision, or have an autoimmune disease, diabetes, a depressive disorder, a thyroid condition, epilepsy, leukemia, or a lymphoproliferative disorder, or are taking MAO inhibitor drugs or corticosteroids such as hydrocortisone or prednisone, consult your physician before taking this product. Do not take with alcoholic beverages or when operating machinery or driving a vehicle. Keep out of the reach of children. Again, NHC combines a low price with speedy delivery. 5 stars.